A prosecutor has charged a man with six counts of murder and two counts of attempted murder in a series of random shootings in western Michigan. Kalamazoo County Prosecutor Jeff Getting filed the charges Monday against 45-year-old Jason Dalton of Kalamazoo Township. Dalton is expected to make an initial court appearance later Monday. The prosecutor’s office says it doesn’t know if Dalton has an attorney. 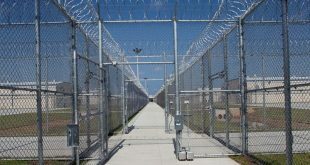 Dalton was arrested Sunday in Kalamazoo. Police say the rampage began about 6 p.m. Saturday outside an apartment complex, where a woman was seriously wounded. A little more than four hours later, a father and son were fatally shot while looking at vehicles at a car dealership. Fifteen minutes after that, five people were shot in the parking lot of a Cracker Barrel restaurant. Authorities trying to piece together an hours-long weekend rampage that left six people dead in western Michigan said they are looking into a report that the suspect picked up at least one fare for a ride-hailing service between shootings. 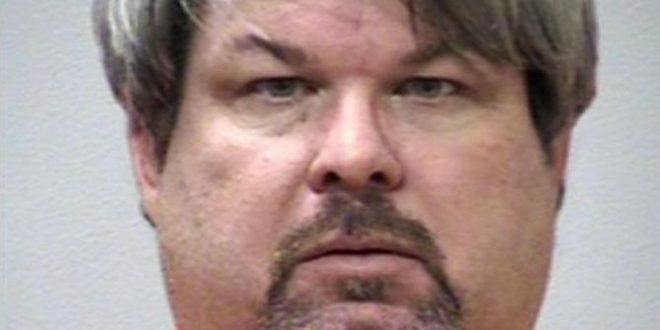 Jason Dalton, a 45-year-old Uber driver and former insurance adjuster who police said had no criminal record, was arrested in connection with the shootings after a massive manhunt and was expected to be arraigned Monday. Authorities did not provide a motive for what they said was his targeting of victims with no apparent connection to him or to each other in the Saturday night shootings. “How do you go and tell the families of these victims that they weren’t targeted for any reason other than they were there to be a target?” Kalamazoo County Prosecutor Jeff Getting said at a Sunday news conference. “These are random murders,” Matyas said. “He would go a month without mowing his lawn but was very meticulous with his cars,” Pardo said, explaining that Dalton, at times, owned a Chevrolet Camaro and two Hummer SUVs. “He loved to do things outside with his kids” like taking them for rides on his lawn tractor, Block said. Dalton’s wife and children were unhurt, authorities said. “This is every community’s nightmare – when you have someone going around just randomly killing people, no rhyme, no reason,” Getting said. Four bullets flew into a closet of George’s home, she said. Her son, James, was playing video games with two friends a few feet away from where the bullets pierced the wall. “I checked out the back window and saw a car speeding off,” said James George, 17. With a population of about 75,000, Kalamazoo is about 160 miles west of Detroit. It is home to Western Michigan University and the headquarters of popular craft beer maker Bell’s Brewery. The city also is known for the anonymously funded Kalamazoo Promise program, which has paid college tuition of students who graduate from Kalamazoo Public Schools for more than a decade.